With any power equipment tool, safety should be a top concern prior to starting the engine and putting it into use. 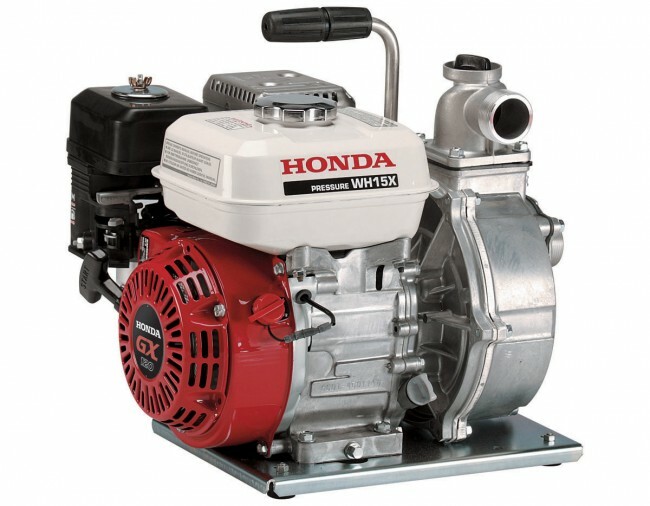 Before getting started with the Honda WDP30 diaphragm pump, make sure to read through the instruction manual and review the basic controls, features, and operational considerations that guide its use. In addition to reading through the instruction manual, check the pump for basic maintenance issues or damage that might have been sustained since it was last used. This includes checking fuel and oil levels, engine condition, hose condition, and the general condition of the pump’s exterior. Operating a Honda diaphragm pump is actually pretty simple. Operating procedures can generally be broken down into preparation of the pump, priming the pump system, and then learning how to turn the engine on or off as needed. A brief overview of these topics can be found below. The key to effectively using the diaphragm pump is to make sure that both of its hoses are functioning properly. If they aren’t, the pump will have a hard time with fluid intake, processing, or discharge, and this could cause maintenance issues in short order. Make sure that the suction hose being used is either the same size as, or slightly larger than, the suction hose opening on the WDP30 diaphragm pump. A hose that is too small will not be able to connect properly, and this could lead to leaks or other issues during operation. With the proper hose attached, ensure that the pump sits as close as possible to the pumping liquid and that the hose is free of sharp corners and kinks. First and foremost, never use a discharge hose that is smaller in diameter than the actual pump output. Keep in mind that a suction hose with a diameter larger than the output will allow for faster discharge with less friction. A smaller hose will experience greater friction and will also reduce the overall amount of discharge. Choose the hose that provides the desired result within WDP30 pump specifications. Priming the pump is an absolutely essential part of operation if the vertical distance from the water to the pump itself measures more than 16 feet. 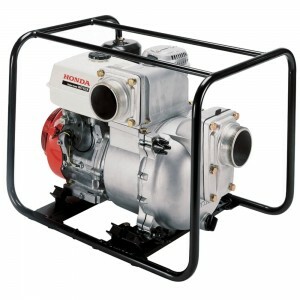 Without priming, the pump may very well sit idle even after the engine has been turned on. To prime the WDP30’s pump, remove the air cushion chamber cap and grasp the suction hose near the hose fitting. Lift the hose about one foot off the ground and then a gallon of water into the pump case via the air cushion chamber. Return the hose to the ground and reinstall the air cushion chamber cap. The fully primed pump will now function properly. Proper ignition is a key part of pump ownership, while safely turning the engine off is key to pump storage and long-term durability. To get the engine going, turn the fuel valve on and move the choke lever to its “closed” position. If the engine is still warm from previous use of the pump, operators can skip using the choke and move on to the next stage of engine ignition. Next, turn the ignition switch to the “on” position and move the throttle lever slightly toward the left. With the throttle lever in place, give the starter grip a firm pull and repeat this process as needed until the engine turns on and stays on. With the engine operating, gradually move the choke lever into the “open” position. Finally, adjust the throttle lever to the appropriate engine speed so that liquid is processed at the appropriate pace. If necessary, throttle adjustments can be made throughout pumping so that the desired speed of discharge is achieved. To turn the engine off in an emergency, quickly turn the ignition switch to the “off” position. Otherwise, there is a somewhat longer procedure to follow when stopping the engine and preparing the pump for storage. Begin by moving the throttle lever into the “idle” position and turning the ignition switch to the “off” position. Next, turn the fuel valve into its “off” position as well. Before storing the pump, drain the pump chamber and flush it with clean, clear water to remove any residual dirt and debris from the equipment. 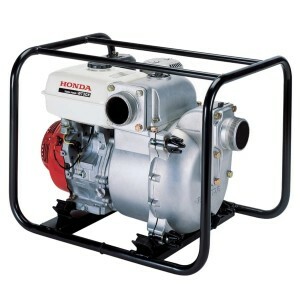 HondaLawnParts.com is a great place to find a wide assortment of Honda WDP30 diaphragm pump parts. An online search tool allows operators to find parts according to their pump’s model number, the pump’s engine manufacturer, or the specific part number of the part that they require. This makes it easy to find a part that is perfectly compatible with the WDP30, making even a last-minute, emergency repair easier to perform.